A Building We Shall Go! In the post "Today Is My Birthday", I gave you a sneak peek of a project I believe has changed me more than any other project we have completed, during the house build. Here is the Heads Up on how it all went down! 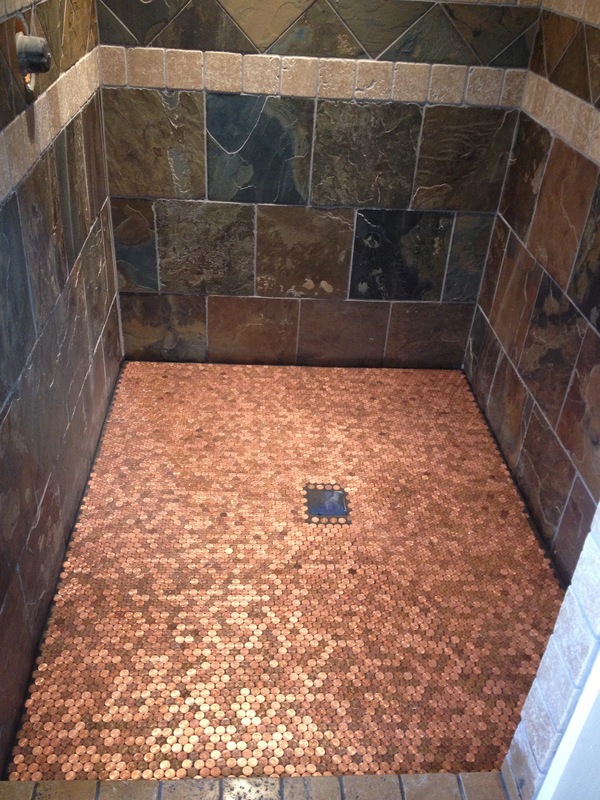 Heads Up Penny Floor in Flower Boy's Shower! I wanted to use the slate tile we already had on hand. I wanted three, yes 3, shower heads in that shower. I wanted a clear glass shower door. I wanted that shower to be 4 feet wide and 5 feet long. I wanted the pennies to be ALL heads up. 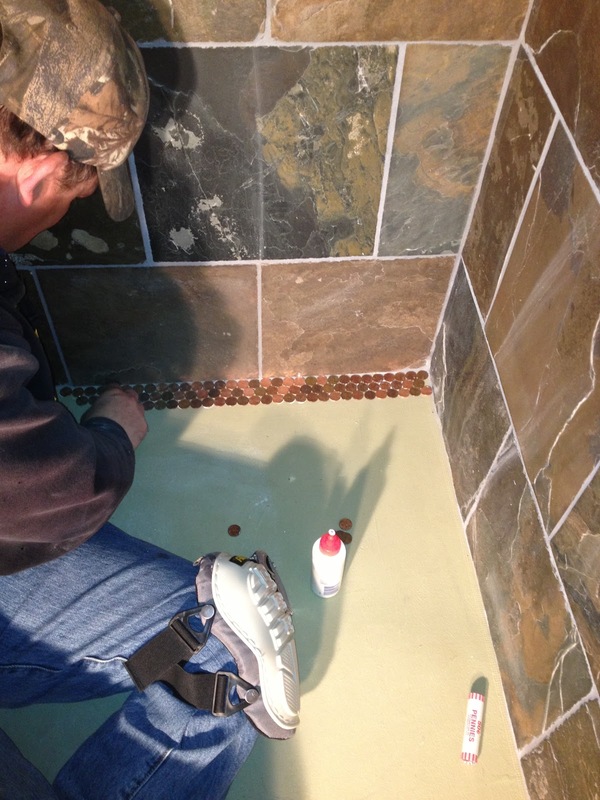 I wanted to grout the pennies with black grout. I wanted to seal the pennies with a water proof sealer to protect them. Of course, with all the visions I have had going into this house build, I had no idea how to do the project. Flower Boy stood with me on my vision. He and I have researched, called, talked to professionals and reviewed different scenarios in our heads. There were so many nay sayers, with only a few understanding my vision. Pinterest became our best resource. 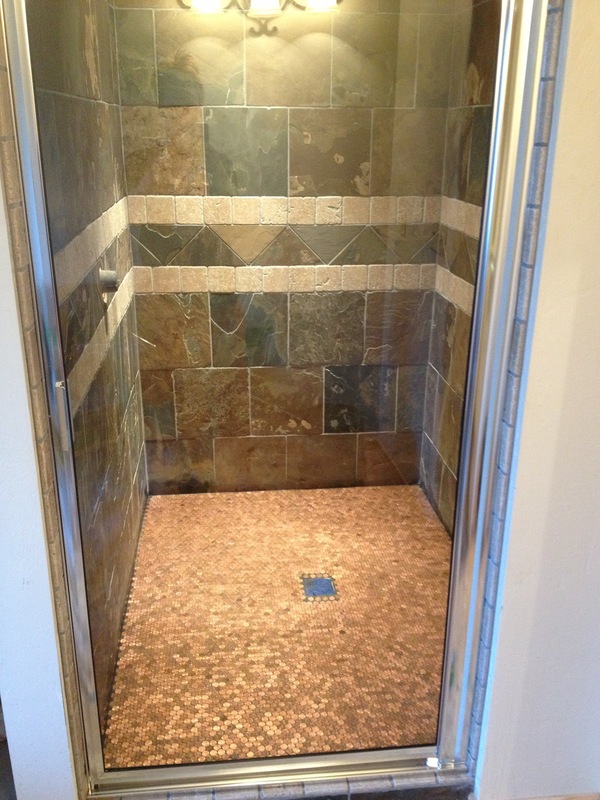 I found a photo, there, of a shower with the slate tile and the penny floor. We spent countless hours attempting to track down the original shower. 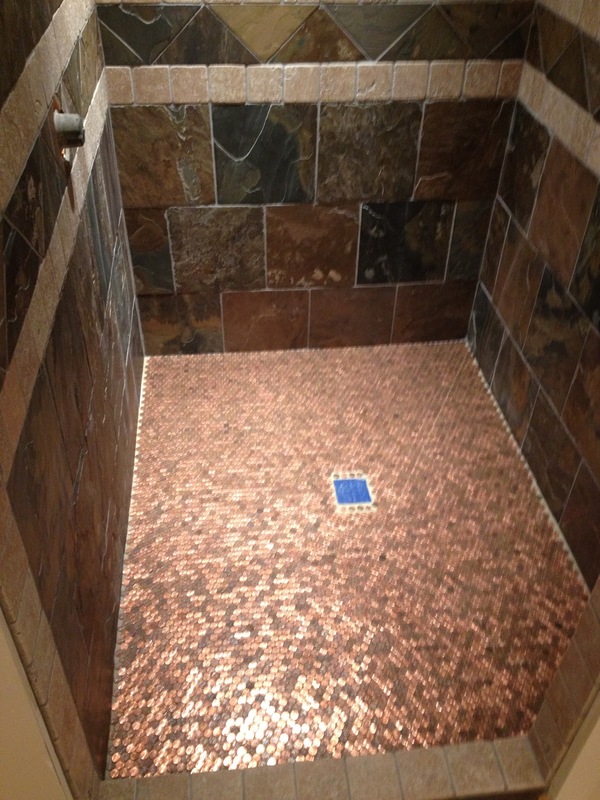 We never found THAT shower, but did find a person who did a mosaic shower with a penny floor. 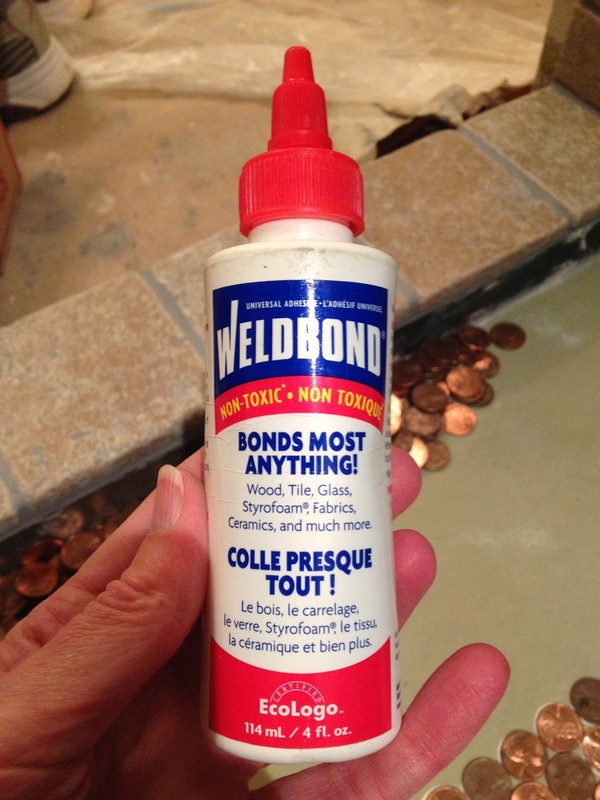 The glue we used is WeldBond. The bottle says it "Bonds Most Anything!" I smeared some on a pair of pants and it is still there after several washings. All it takes is one single drop! Flower Boy set the pattern with the pennies. Then it was smooth sailing! For me, this is where everything CHANGED. I realized with each penny I was picking up, I was focusing on their placement. Each penny would slide into place without hesitation or problems seating. 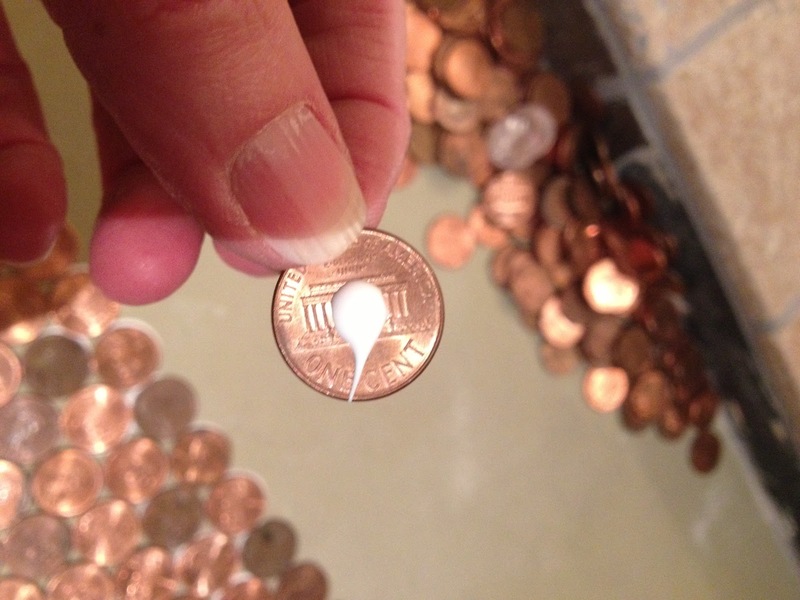 I would pick up each penny, making sure to place the drop of glue on the tails side, then push it onto the floor. I was focusing more on the "In God We Trust" than I was on the actual Heads Up of the penny. There is a reason I wanted the pennies all Heads Up. I thought it was due to the fact that Flower Boy WILL NOT pick up a penny unless it is Heads Up. Now, I KNOW it is because of the words written on the Heads Up side. "In God We Trust" says it ALL! We have placed our faith and trust in God to guide, protect and direct us, to where we are today and into our future. The placement of all 5382 pennies was my confirmation. Not one single penny was cut to be placed on the shower floor. After all the pennies were put in place, we allowed it to set for a few days to insure the glue dried and the pennies were set. We then applied black sanded grout to the floor. Then we wiped it clean. You will notice around the drain there are four pennies above and four pennies below. These stand alone for a reason. The top four are the birth years of My Daddy, Our Big Kids and Drewman. My Daddy's birth year is 1941. This is the only wheat penny on the floor. The lower four are a 2012, Flower Boy's birth year, my birth year and a 2013. 2012 and 2013 signifying the loss of the old house and the birth of the new house. The floor will be sealed with a two part epoxy after all the construction is finished in the house. We want the house to be dust free when the epoxy is applied. No one wants dust particles or dirt affecting the look of this amazing floor. We will also add a small bit of grit to the top of the epoxy. It will prevent slipping but you won't be able to see the grit. The poem has added to what CHANGED me. No other words are needed here. Great read....love what you have done with the shower! How has the epoxy coating worked out for covering the pennies? My wife wants me to do this type of floor in the house we are building this fall and I'm worried about the coating I end up putting down on the pennies. The epoxy is the same epoxy that was put on our concrete countertops. It withstands water very well! Shower floor, tub deck, bathroom countertops and kitchen counters. 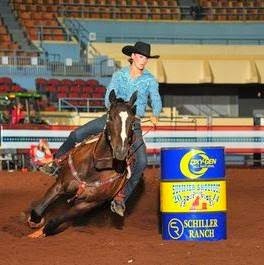 Here is the link to the place we purchased the epoxy. The product is called enPOXY by enCOUNTER. We have also been told, since making this blog post, others have used a marine sealer and bar top epoxy. We are planning a penny shower in our bathroom as well, but have been warned that the sealers can be very slippery once they have water and soap on them. Have you had this problem? Did you add anything to the sealer to make it more non-slip? We added a bit of Sharks Tooth Grit to the sealer. The floor is not slippery at all. What do you clean the floor with? I clean the shower floor with a multi surface cleaner, just as I would if it were an acrylic tub or shower. Nice !!! I've heard of that idea to glue coins on walls or on the floor, but this is the first one I see for real !! It was a two part epoxy. We applied thin coats to avoid running. Sharks Tooth Grit was applied to the last layer of epoxy. Before you laid your pennies down, how did you prepare your floor? The tile guy did all the prep work. We just laid the pennies and put the epoxy on. The floor is as beautiful today as it was the day we sealed it. I have no idea what was used as the pan. 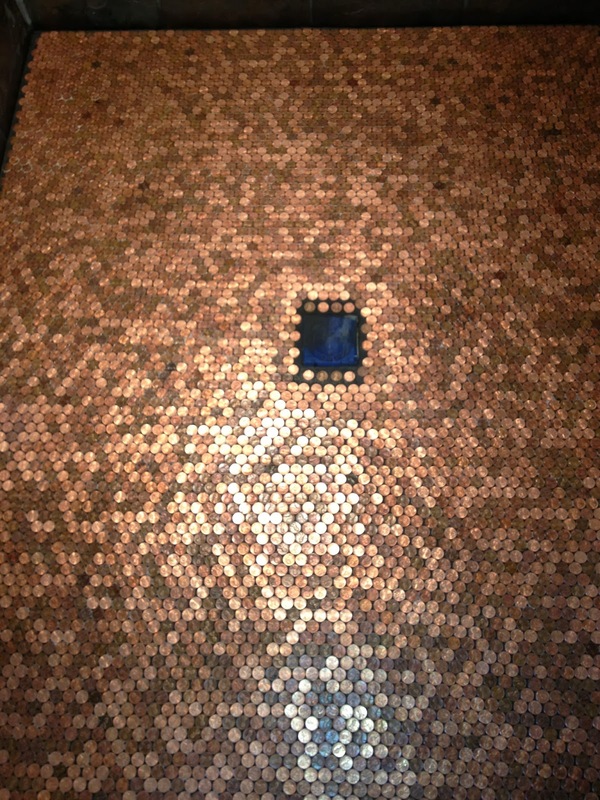 The pennies are laid over some type of grout/concrete. We were not present when the shower floor was prepared. Darn day jobs! HA! We are looking to add some penny projects to our new build. Pretty sure I won't get the time to lay it "penny by penny"...do you have any thoughts about the penny tile concept, an avoiding the square look that sometimes results from using them? Your project is stunning and I'm thankful for your input on how it was accomplished...nice work!! This is the exact reason we laid "penny by penny". 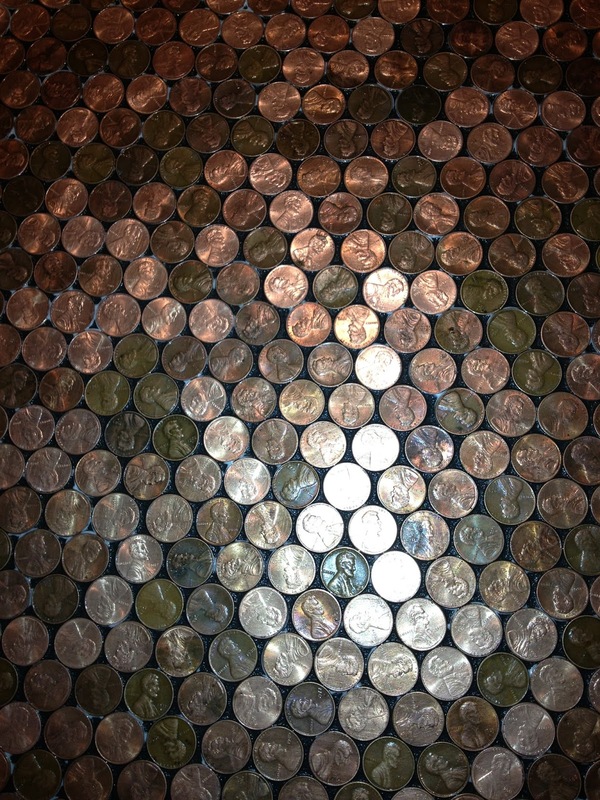 We didn't want that square look or space between the pennies. We wouldn't have changed a single thing. Hello! 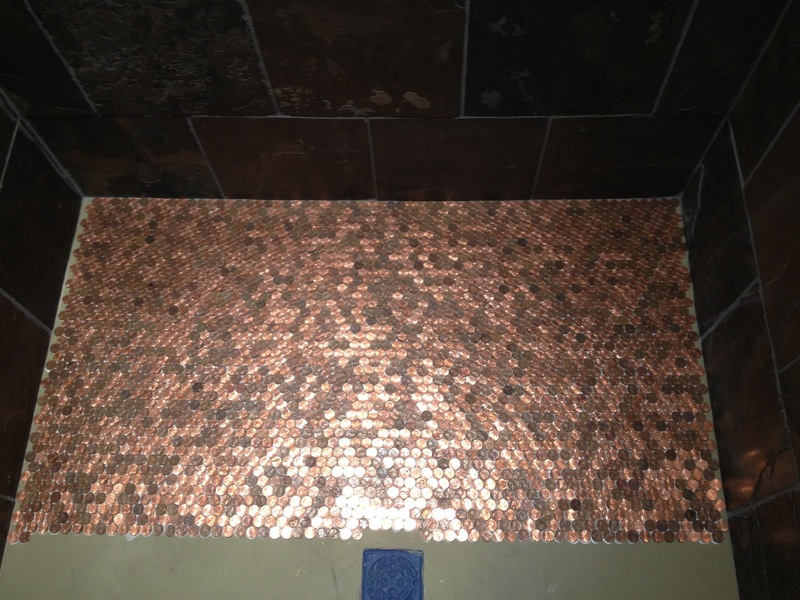 Just found this post, scouring the internet for someone else who has done a real penny tile shower floor. I am now on my third attempt at sealing the pennies, and continue to have bonding (or lack thereof) issues. Could you please tell me if your epoxy coating worked? And if so, the exact product and technique you used?? It's been too long to remember the product name. It was purchased at a concrete pool place and is specific to wet areas. The same product used to seal swimming pools... A two part epoxy. I do remember the expense being extremely costly. BUT it worked! We have had zero issues. 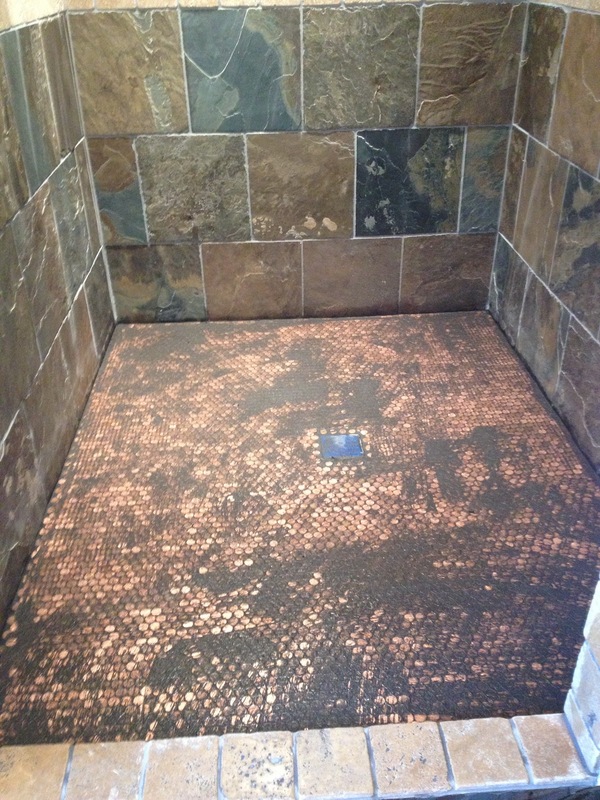 I am about to seal my own penny shower floor! I have read through your notes to understand which product you used. I'm wondering if what you chose worked out over time or if you've had any issues? Never a single issue. We didn't go cheap on products. The floor is still a beautiful as the photos in the blog. Your poem at the end of your post rings true for me. It's a poem we've known since 2006, the year my grandmother passed away. She was/is my everything. We pick up all loose change found and keep it in a jar- gifts from her... I was fortunate enough to purchase her house, recently. I'm looking at re-doing a few things in the home to make it more "us" but keeping the charm of the home, as well as keeping touches of her. I can't think of a better use for the change collecting than to use it for either counter tops, back splashes, or flooring. Do you think the epoxy would withstand washer/dryer on it? or how well has your shower held up now that a few years have passed with the water usage? "Change is Good" - our motto, in regards to pennies. I think if sealed properly, it will hold up quite well. Ours is still beautiful! What a story! Yes, I believe the washing machine. :-) Good luck with the "Touches"! Hold them dear to your heart. Yes the epoxy is self leveling. We did not pour the epoxy. We brushed it on, using thin coats. You said the tile guy prepped the floor for you. Did he do a mortar bed? The pictures seem to show an extremely level and clean surface. I have no idea what he used. We just told him what we were going to put down and he prepared the space. It did appear to be some type of concrete, so possibly a mortar bed. Hello! I was wondering if you remember how many thin coats of epoxy you ended up using on your shower floor. Also, did you use a normal paint brush or a foam brush? Thank you in advance!! If my memory serves, we used 3 coats. It was rolled/brushed on with a specific roller brush purchased at the same place we purchased the epoxy. It is designed to take the air bubbles out. Copyright 2019 A Building We Shall Go! This blog, posts and photos may not be shared or reproduced without the express written consent of A Building We Shall Go!